Keeping faith in God during hard times can be extremely difficult. However, I want you to know that not only can our faith grow in times of challenge, but we can discover great joy through trials (some of my favorite Bible verses about joy echo this truth). 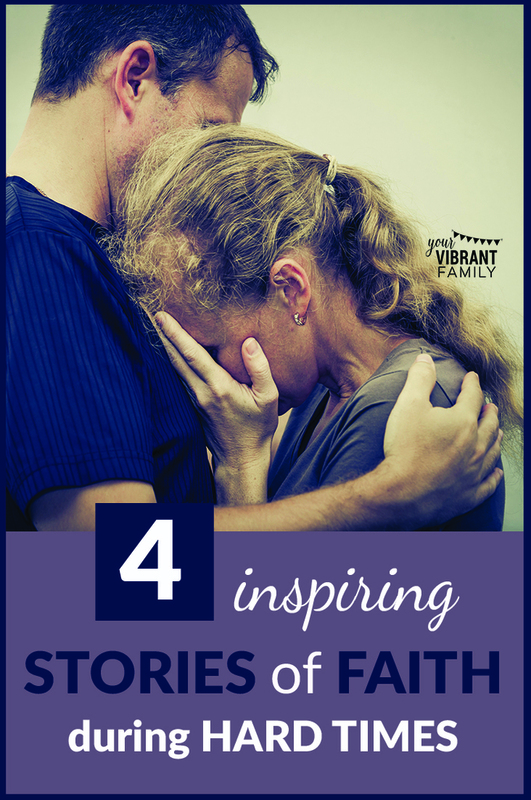 In fact, the last four years have been about our family learning how to have faith in God during hard times. 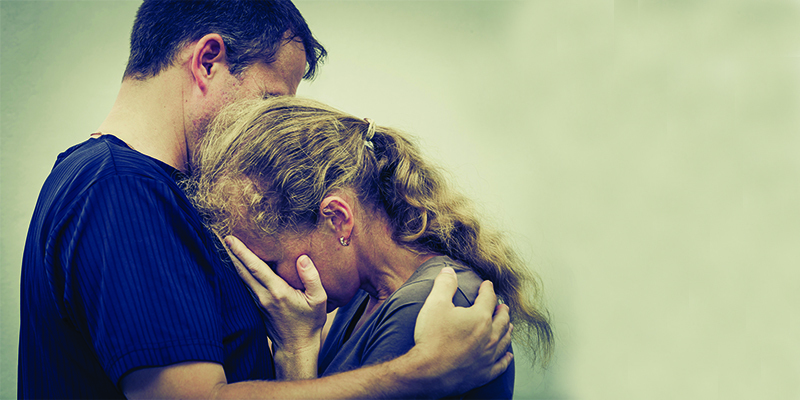 We’ve encountered everything from job loss and unemployment to parenting issues and life-threatening illnesses. And today I’m going to share those stories with you: Stories of how we’ve learned to have faith during trials, and how God has (a little at a time) taught us to even rejoice in trials. Let’s talk about how going through trials can strengthen your faith and even bring you more joy! Before I share my stories, I have a question for you. You didn’t just come here to read some nice feel-good stories, right? You want change. You want God to help YOU keep the faith through that tough trial you’re facing. I totally get it. And I can testify to this: God has the ability to bring joy during even the most difficult circumstances! He will prove Himself faithful when times get hard… but you have to choose to cling to Him and to seek His ways as better than your own. You can’t just read these stories about faith in God during hard times (and only be encouraged for the moment). You have to take action. You have to study the CORE reasons WHY we can have strong faith through trials… and then apply these truths to your life. So here’s my question: Is keeping the faith really important for YOU during this trial? Yes? Good. I’m so glad to hear that. As someone who has had to keep the faith through many hard trials too, let me share what has helped me. You have to be real with yourself about WHY its’s so hard to find joy and to keep the faith during this difficult life season. You’ve got to share those questions honestly before God, and then seek HIS WISDOM as found in the Bible for answers. And that takes more than just writing for a few minutes in a journal. You need to spend time discovering God’s answers and then, bit-by-bit applying those truths to your life. And that’s why I know the Joy Full 5Rs Bible Study Journal would be a HUGE blessing for you! Where can I find true happiness & lasting joy? In only 6 weeks (and in less than 10 minutes a day), you’ll uncover the main reasons WHY it’s difficult for you to keep the faith right now. If you need to find hope, strength and joy (and you need to keep the faith), this is the perfect Bible study for you! I’m going to share a few of the opportunities we’ve had to experience joy through trials–just in the past 4 years! Through each story I’m going to share Bible verses that encouraged us and talk about how God has used each difficult trial to teach us how to “count it all joy during trials” (James 1:2-4). 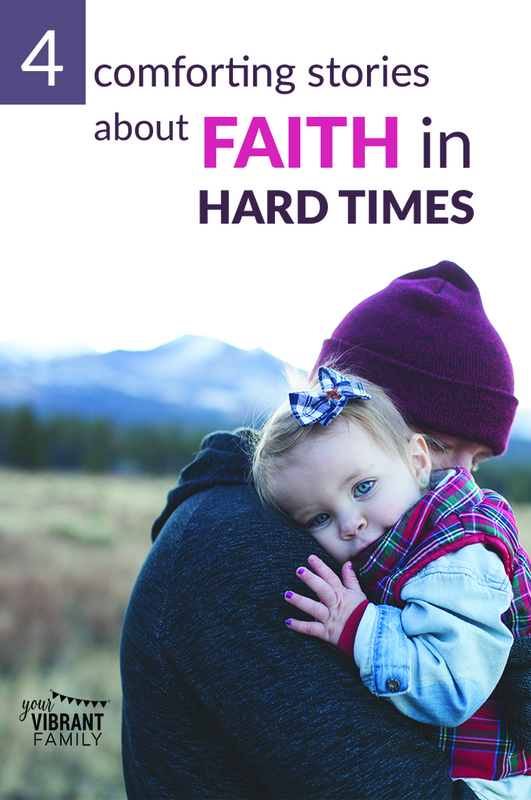 I pray that these inspiring stories about faith during hard times will greatly encourage you to trust God through your challenges as well (and to even learn how to rejoice in trials). More than anything, I pray that these stories will encourage you to discover a personal relationship with Jesus, since knowing God is the best way to find hope and joy through trials. As a mom to four kids, I could write so much about the parenting challenges we’ve had so far. But the one that stands out the most happened from April 2014 to April 2015 when our oldest son went through some extreme behavioral issues which required professional intervention. In a nutshell, my life as a mom became wrapped around helping my then 11-year-old son (who has ADHD and Autism) learn how to cope and function as he went through some extreme emotional issues. He became nearly impossible to handle. Not just “I-don’t-want-to-do-this” defiant, but yelling at me, throwing things, and constantly causing a scene in our home. 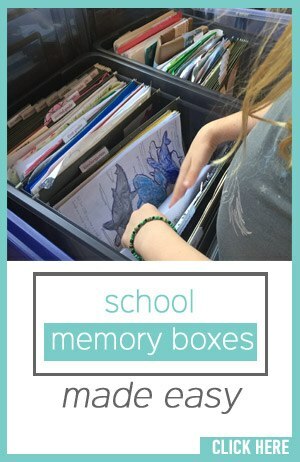 It became downright impossible to do homeschool with him (let alone to help our three other kids who were then 9, 6 and 2). I felt incredibly helpless. Every single moment of every day was a all-out battle. No matter how fervently I prayed for things to change, each day’s events repeated themselves and day after day faded into the next. I was utterly spent–emotionally, spiritually and physically. To top it off, my hard-working husband traveled nearly 50 percent of the time. He was incredibly supportive, but he wasn’t physically there a lot. So that meant I spent a lot of time alone in the trenches of this trial, carrying this immense emotional and physical burden on my own. Eventually our precious son was hospitalized for several days. It required loads of trust and faith in God in order to bring him there, but we knew it was the best option for him. Afterward, he was assigned to a special therapy 3 days a week for 4 hours at a time (at a location over an hour from our home). Getting him to and from therapy (while finding childcare and rides for my other 3 kids) was extremely taxing in itself. I felt like a zombie many days as I spent every last ounce of energy trying to keep life going for our all four of the kids (who of course still needed my constant attention). God (and Bible verses about trials and hard times) became my only solace. I prayed continually and asked God to help my faith to be strong and to even have joy during this parenting trial. God taught me many things about moment-by-moment faith during that life challenge. Specifically, God used the story of how He fed the Israelites through the desert with his daily manna (Exodus 16:1-20) to teach me how he was going to provide for me in this season one day at a time. There were times that I thought I wasn’t physically going to make it. But I saw how he built supernatural joy into my heart through this trial. For the first time, he showed me how to really have joy during trials. And as it turns out, those lessons I learned then about joy in trials were ones I would greatly need for the future. Fast forward less than a year later, to July 2015. We were just getting back on our feet after helping our son when my normally-healthy husband was diagnosed–quite unexpectedly–with Type 1 Diabetes. At the time of diagnosis, we knew it was a miracle that he was alive since he came to the hospital with a blood sugar that was more than 5 times the normal amount (the nurses said that most people with his numbers were either dead or in a coma). We had no idea his blood sugar was so high! We had just noticed his extreme weight loss and extreme thirst. But during a routine doctor’s visit, our physician followed a hunch after noticing my husband had a “fruity” odor to his breath (which we later learned is a sign of high blood sugar). After 3 days in the ICU, we were suddenly introduced to his new life of counting carbs, testing his blood sugar several times a day, glucose injections and more pills than I could count. Scary, life changing stuff that radically altered every part of our life. You can read more about that experience here, and find out God not only taught us about how to have faith during hard times but how to grow closer as a couple during times of crisis. We clung to Bible verses about trials and hard times in order to survive those first few months of Diabetes. And of course, since Type 1 Diabetes is an incurable chronic illness, we still must cling to verses like “count it all joy” to find joy through the daily trial of Diabetes. P.S. I have a list here of 19 joy in trials Bible verses especially for those with chronic illness if you or a loved one also struggle with a chronic illness. Our most recent trial ended less than a month ago when my husband lost his job and we were unemployed for over 18 months. Talk about trusting God for provision! It was incredibly humbling and difficult to not know when my husband would get a job, if I was going to go back to work instead, or if we were going to move out of state. And of course there was all kinds of opportunities for fear, doubt and worry to steal my faith in God. How would we pay our bills? When would this trial end? Why was this happening to us? Questions like these during a trial could rule my heart and wreak havoc on my emotions if I let them. There were many tear-filled days where my faith (and joy levels) were stretched. But I kept reading my Bible and talking to God each day about everything I was going through. I took it day by day, moment by moment like I’d learned a few years back through that parenting trial. And I chose to believe, over and and over, in the foundational truth that God loved me and my family no matter what. I believed with all my heart that His plans were good for me and not meant to harm me (Jeremiah 29:11). And because of this, I decided that yes, I was going to count it all joy like James 1:2-8 says. About a year into the unemployment trial (in late July 2017), a new trial was added to our lives (quite suddenly, I might add). This time I was the one who had her life threatened by disease. I’d had a headache for weeks. I went to the emergency room just to make sure I was OK. That’s when the doctors told me that I’d developed an incredibly serious condition–a vertebral artery dissection. Our family’s world stopped. Everything on my overcrowded schedule was cleared. And once I got out of the hospital, I spent my days literally laying flat on my back with all kinds of highly powerful medicine racing through my veins (some of it coming from the self-administered injections I had to take round the clock). It was a scary time. But God continued to speak to me about joy in trials. Of course the situation was very difficult (I still had four kids to take care of and a ministry and house to run). Plus my health was still incredibly unstable and I had ongoing migraines that wouldn’t let up. But I knew God and how His character is to use difficult circumstances to create good things in our lives (Romans 8:28). I believed that He had a purpose for my scary health conditions. And so I clung to Bible verses about trials and hard times and I again, chose to count it all joy. And then, one week later, the unthinkable happened. This time I had a mini stroke and was taken back to the ER. A CAT scan confirmed that my other vertebral artery now had a dissection! The doctors couldn’t believe that I now had a second dissection (and had lived to tell about it)! They had never seen anything like it. On the ambulance ride to the hospital (as my body was shaking violently from the stroke symptoms) I prayed continually for God’s peace. I truly didn’t know if I was going to make it. God saved me that day. And I am so grateful for what He has continued to teach me about joy through trials as I am now past my recovery period and have been forced to create a new, slower-paced life for myself. There are times when the headaches (a result of the dissections) come back and I’m forced to clear my schedule and rest for a few days. But God has taught me an indescribable joy that brings tears to my eyes. Oh how my character has been shaped through this experience! Oh what closeness I’ve developed with God as a result of this trial! Today I can truly say that, yes, trials are difficult and can be horribly painful to endure; but that because of God’s presence through them all, you truly can “count it all joy when you face trials” because there is so much beautiful spiritual fruit that comes from a trial! 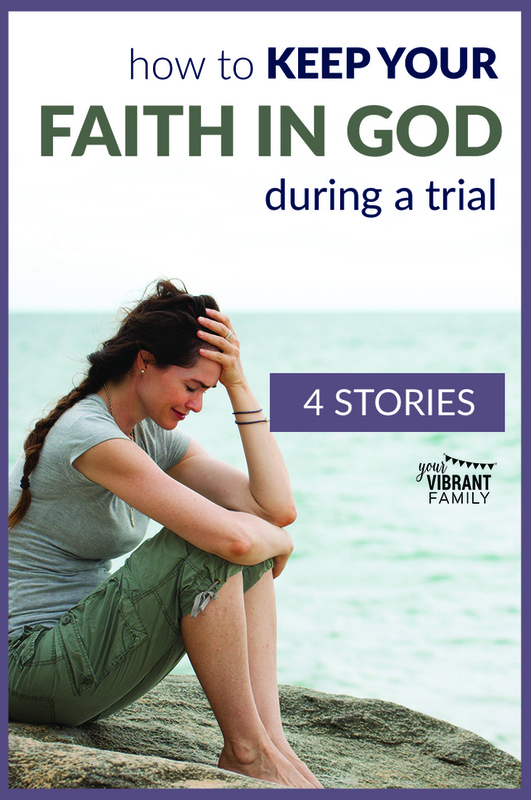 I’ve written a few other inspiring stories about faith in trials, including the loss of my grandpa and the untimely death of a good friend; and a time in college when I dealt with depression and suicide. What really allows us to keep the faith during trials? When we can process godly truth–meditating on it and applying that truth to our lives in practical ways. 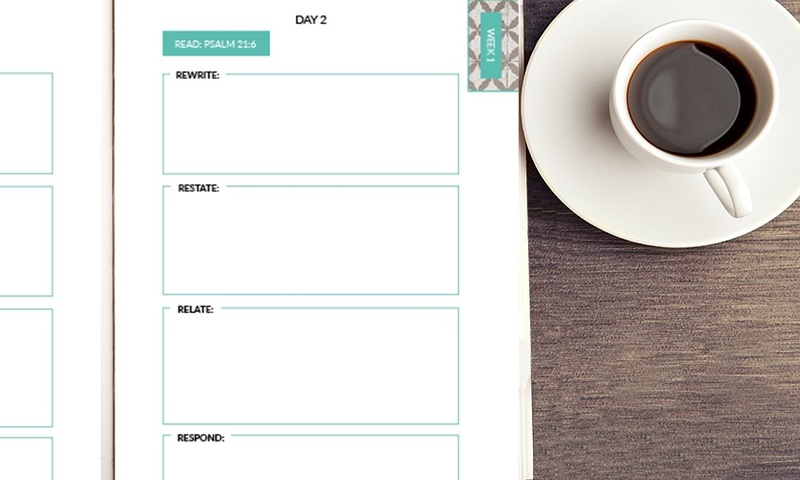 And that’s exactly how I designed the Joy Full 5Rs Bible Study™ Journal! Each of the Bible study lessons take under 10 minutes a day since they use the highly powerful 5Rs Bible Study Method. Is everyday joy even possible? What in the world do we have to be joyful about when life is so hard? How can we find real joy and happiness during difficult circumstances? I want you to learn how to apply these truths about joy during trials to the difficult situation you’re facing! Go here to purchase thse incredible joy Bible study journal (or click here to get a free sample). Yes, There Is A Way to Find Joy In Trials! God hasn’t forgotten you as you are going through these trials! In fact, He’s calling you to a deeper understanding of how to have joy in all circumstances, and that’s only something that you can receive once you’ve walked through this trial! You must lean on Him and trust Him to get you through. But… trusting God through a trial isn’t done blindly. We must learn how to have a moment-by-moment, day-by-day relationship with God that is built through a daily quiet time. A great way to start that quiet time habit is by taking 10 minutes a day to read the Bible and apply biblical truth to your life. And the Joy Full 5Rs Bible Study™ Journal is perfect quiet time resources for anyone who needs joy through a trial. Get them here, or click here and I’ll send you a FREE sample of the first week of the study! Don’t miss this chance to discover–for yourself–how to keep the faith through trials! Get the Joy Full 5Rs Bible Study™ Journal and get the strength you need to grow in your faith during this time.